Running a distant second behind requests for more information about the tokoloshe are e-mails asking me where one can go to see the contents of my Strange & Spooky Museum. Up until now, the answer has always been “nowhere”. But all that’s going to change beginning October 1st, 2012. To the uninitiated, my Strange & Spooky Museum is a collection of odd things I have collected over the many years traveling across the United States in search of all things strange and spooky. And when I say “odd things”, I mean it! Over the years, I’ve collected such odd things as bigfoot casts, one-of-a-kind bobbleheads, skeeball tickets from now-defunct amusement parks, and bricks from haunted buildings, prisons, and even the house featured at the end of The Blair Witch Project. Of course, since I’ve lived in Ohio since 1999, a huge part of the museum focuses on the Buckeye State (my Boy with the Boot stuff has a whole “wing” designated to it), but there’s enough strange and spooky things for everyone! 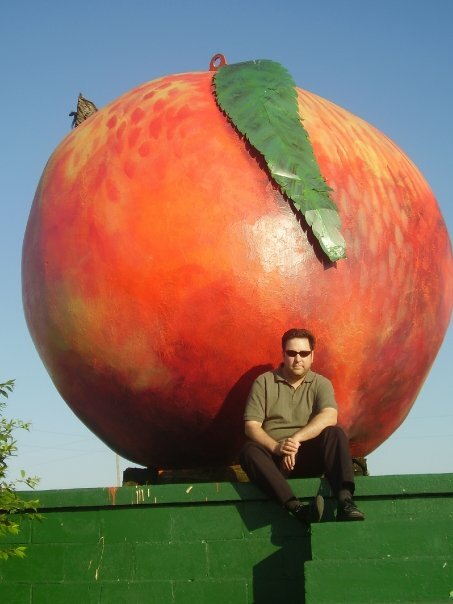 Unfortunately, I was unable to find a crane large enough to transport this giant peach home to my Museum. Anyway, beginning October 1st, I will be “opening up” section of the Museum, right here on this blog. See that link at the top of this page marked The Museum? There’s nothing there now except some history on the Strange & Spooky Museum, but in just a few short days, pages are going to start popping up, complete with photos, so that you’ll all be able to see for yourself some of my most prized possessions! And new stuff will be added throughout the month of October. The new stuff is probably going to come fast and furious. So if you don’t want to miss any of it, go ahead and click that link to the left that says “Follow Me”. That way, you’ll get an e-mail alert every time something new pops up on this page. And hey, if you’ve got something you’d like to donate to the Strange & Spooky Museum, I’m all ears! Just let me know what you’ve got and how I can take it off your hands. 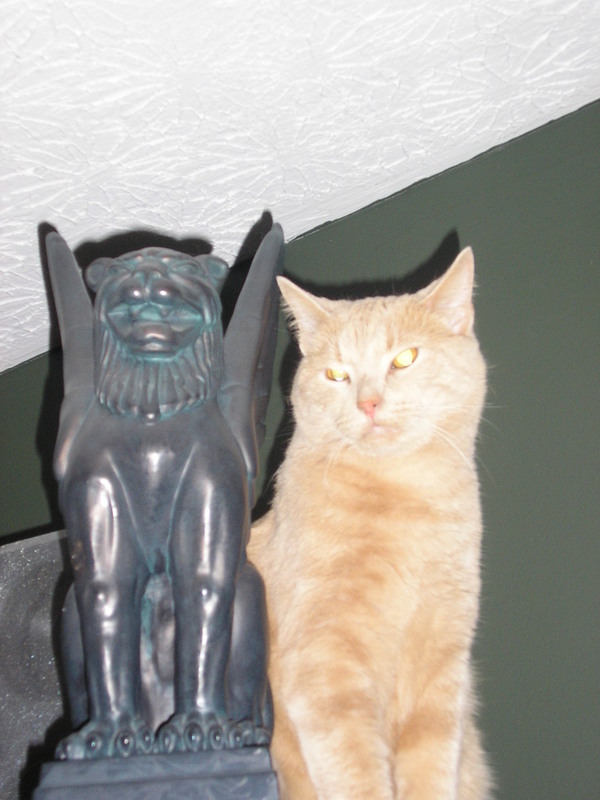 Imagine my surprise when I returned home after purchasing two gargoyles for my Museum, only to find that one of them was ALIVE! ← Ohio Bigfoot Video Is So Fake, It’s Not Even From Ohio! Thanks for the note. Look for an entire Boy with the Boot “wing” of the Strange and Spooky Museum to be opening within the next week or so! great! i’ll be looking forward to it. thanks!